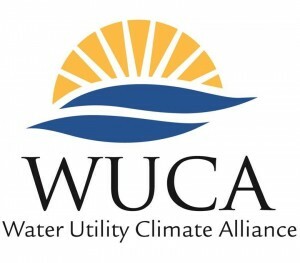 The Water Utility Climate Alliance (WUCA) is collaborating with scientists, boundary organizations, and federal agency staff to convene a workshop in May 2016 that will highlight innovative techniques in assessing the impact of climate change on drinking water systems and develop proposals for extending lessons learned to a national scale. The nexus of WUCA’s collaborative work is the need for “actionable science,” the bridge between data and decision making highlighted increasingly in the literature, by domestic and international agencies, and by President Obama in his 2013 Climate Action Plan and Executive Orders 13653 and 13690. Last year, WUCA completed the Piloting Utility Modeling Applications (PUMA) project, consisting of four innovative assessments conducted by WUCA utilities in collaboration with engaged climate scientists. In the May workshop, we will hear reports from water managers and their science partners about the conduct and outcomes of those projects. Highlights will include reports on climate information consideration, the nature of the relationships built across communities, difficulties encountered, and innovative approaches developed. We will then use those reports as a jumping off point to consider the future of climate services and what activities might be pursued to advance the national conversation about climate services with an eye toward a future in which an increasing number of societal leaders will require a robust, functional, and accessible science/decision making environment in which to make adaptation investments. It is expected that the focus will remain on vulnerabilities in the water utility community but develop knowledge that should have applicability across the adaptation community. Water Utility Climate Alliance (WUCA) members and other interested parties. Registration is now open. No fee for attending conference. Click below to register, you will be prompted to set up a registration account prior to completing the conference registration. *Please note: registration is for invited attendees only. Thank you. A block of rooms has been reserved for your convenience at the Holiday Inn Express in North Boulder. The discounted group rate is $124.86 + tax per night and is available only until 04/15/16. After 04/15, the room block is released and prices go back to regular rates. Register now to lock in your rate. Green Ride Boulder provides an hourly shared shuttle van service between DEN and Boulder hotels. It’s about a 90 minute shuttle, give or take. Click the button below for a discounted ride. Free parking is available at the hotel and UCAR/Center Green. Accommodation requests related to a disability should be made 7 days in advance of any scheduled event to conferences@oregonstate.edu.